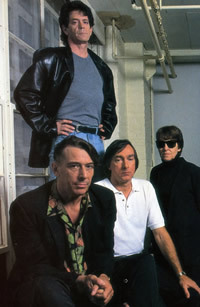 The reformed Velvet Underground tour Europe. They support U2 on a couple of dates. 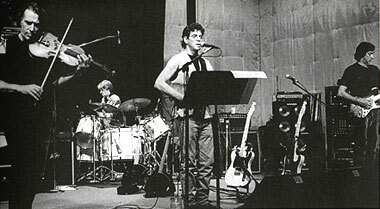 Lou Reed wants to be the boss (again). It doesn't last. US dates and a planned MTV Unplugged special never happen. Cale and Reed exchange unfriendly faxes, and once again the Velvets are history. For good this time. "There was a sudden feeling that whatever was happening for the three others was certainly different from what was happening for Lou. This was not a band. Moe, God bless her, looks at all this and laughs and says, "This is all boy stuff." Which in a way it is, she's absolutely right. But I had certain principles which I wasn't prepared to turn my back on. It was the end of a very fruitful relationship. A poisoned one - but it had been fruitful." The three shows in Paris (June 15, 16 & 17) were recorded and used for the Live MCMXCIII album and Velvet Redux Live MCMXCIII video.